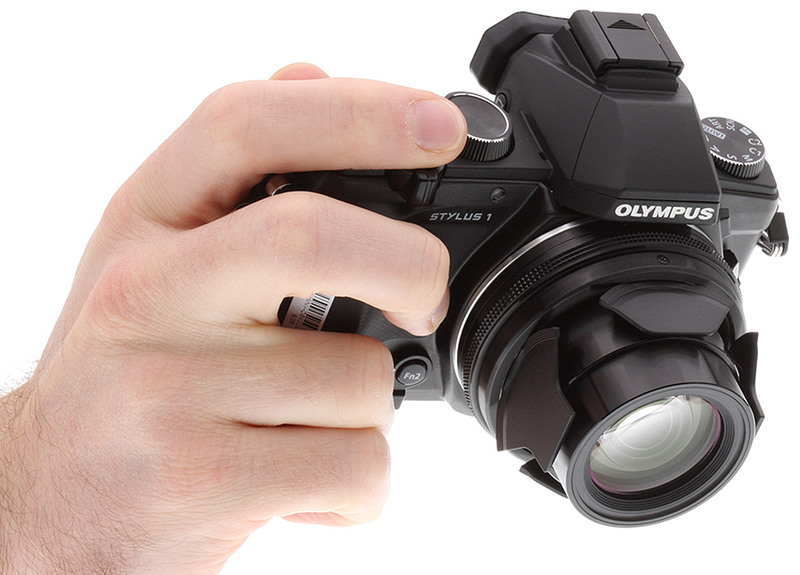 The new Olympus Stylus 1 is a sleek, easy-to-carry compact camera that draws on the technology of the acclaimed OM-D Series. Interactive high-definition EVF, versatile constant f2.8 i.ZUIKO lens, simplified Wi-Fi connectivity…the Stylus 1 is a full-featured alternative to a heavy DSLR system. The f2.8 fixed aperture i.ZUIKO lens has a focal length of 28-300mm (35mm equivalent), 10.7x zoom capability – and the superb optical quality of ZUIKO DIGITAL interchangeable lenses. Capture crisp images with striking defocused backgrounds and minimize the blurring effect of camera shake thanks to the fast shutter speeds this super-bright lens allows. An advanced electronic viewfinder allows you to compose your shots at eye level and preview Exposure Compensation, White Balance, Art Filters and more. Not only that, an eye sensor automatically switches from the LCD to the EVF as you bring the camera to your eye. You can sync your smart device to the Stylus 1 in a few easy steps. With the Olympus OI.Share app you can select the autofocus point, release the shutter button and control the camera’s shutter speed, aperture, ISO, Live Bulb shooting and more – all without touching the camera. You can also geotag photos and upload selected shots to share. Eleven in-camera Art Filters are enhanced by new filter variations, art effects and bracketing. Photo Story lets you combine multiple shots into one photo to tell your tale in pictures. High-speed video shooting help you capture the fastest moving objects in super slo-mo clarity. Additional features such as Bracketing, RAW Capture and an ND Filter let you add more creativity to your images. Check out all the Stylus 1 features here.